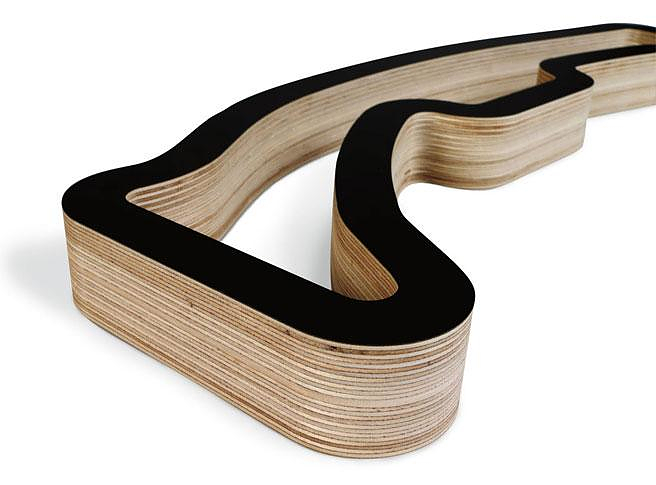 Race Tracks Of The World, F1 racing circuits transformed into art. 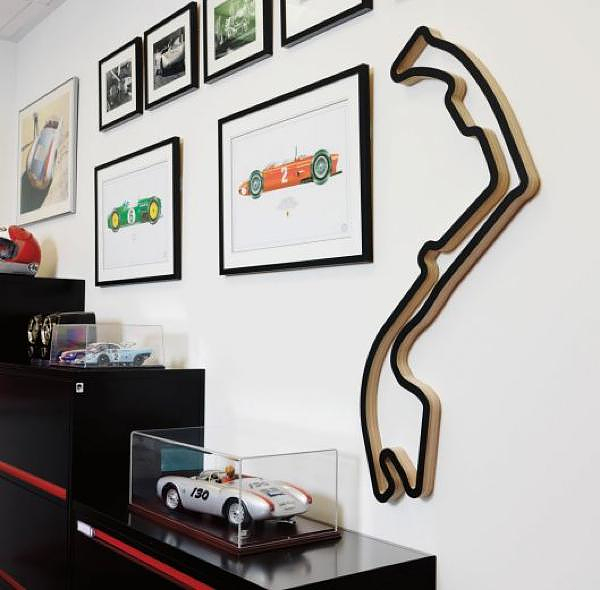 HomeBlogArtRace Tracks Of The World, F1 racing circuits are transformed into pieces of art. Race Tracks Of The World is a series of artworks that will surely appeal to the fans of Formula 1 and MotoGP, as well as to all those that like motorsports in general. 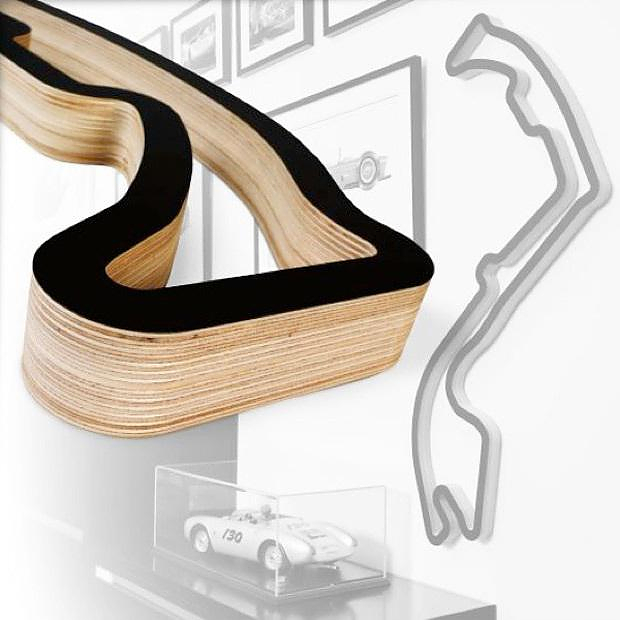 It is a series of wooden artworks that represent in scale the most famous race tracks in the world, essentially transforming legendary Grand Prix tracks to art for your walls. 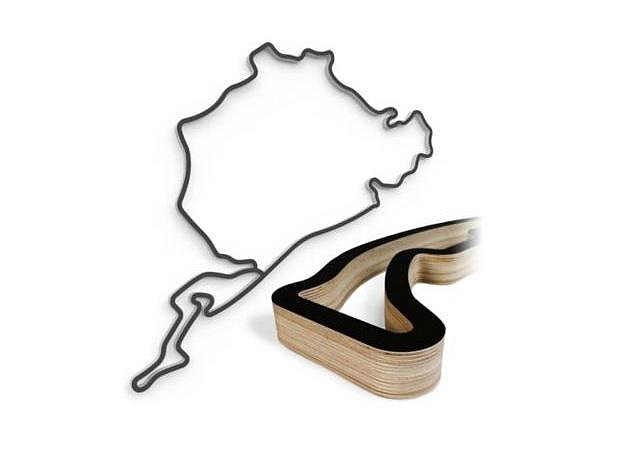 Spa, Laguna Seca, Lemans, Monza, Silverstone, Nürburgring, Monte Carlo (Monaco), Hockenheim, Imola, Monza, Misano and Estoril, are just some of the world renown circuits included in the collection. They are made from high quality Baltic birch plywood, which is finished with matte black Formica®. The laminated pieces are precisely-cut with the aid of a CNC machine and each track is handmade on order. Most are medium sized, covering around 92 square centimeters. But the most impressive piece of the collection is undoubtedly the huge Nürburgring motorsports complex. With dimensions of 1.83 x 1.72 meters it will become and exciting centerpiece, impressing with its size and glorious racing history. Race Tracks Of The World are available from Griot’s Garage.